VidCon, the biggest YouTuber festival in the world is making it’s first appearance in the UK this February, arriving at the ExCel centre for Valentine’s day weekend.With over 10,000 fans flocking to California every year for the event, VidCon wanted to bring the same excitement to UK fans, with an all star line-up of the world’s top vloggers including Patrick Starrr, LadBaby, Elle Mills, Joey Graceffa and Patricia Bright. The vloggers won’t just be performing they also be engaging in meet-and-greets, shows and panel discussions around topics such as coming out online, online bullying, and how to make it as a vlogger. 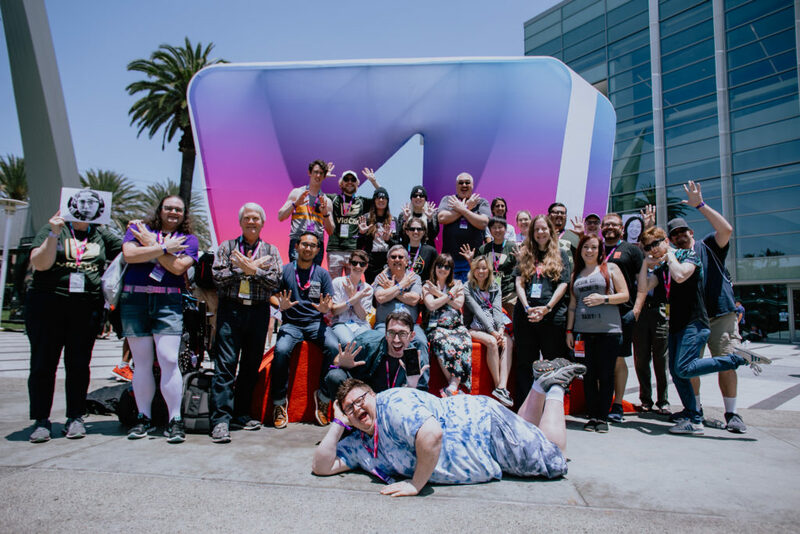 There will be a focus on diversity in the creator community, with a range of vertical genres represented and creators from a number of different platforms, including a dedicated PodCast room for the first time with live broadcasts. Industry speakers from Jungle Creations, BBC, Buzzfeed and more will participate in keynotes, networking and Q&A sessions.